Digitial health solutions offer the latest cost-effective, powerful laboratory information system technology. Our systems empower laboratories to effectively control inventory costs and improve the reorder process. A curriculum designed to train technologists in efficient workflow processes and regulatory requirements. Highly experienced medical technologists with the ultimate goal of workflow optimization to improve overall lab performance. Complete physician office, reference, and hospital laboratory finish outs that allow our clients to focus on providing quality healthcare. 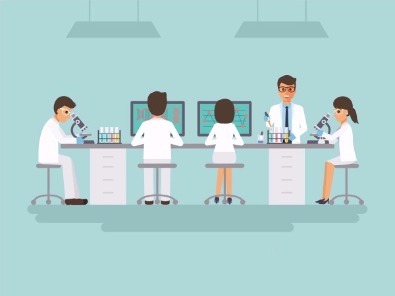 Veritas’s proven turnkey clinical laboratory solution is designed to minimize the time and effort our clients spend managing multiple vendors, consultants, and regulatory requirements necessary to start and operate a lab of their own. We do this by taking responsibility for assessing feasibility, design, compliance, installation, training, service and supply chain management, allowing our clients to do what they do best: practice medicine.